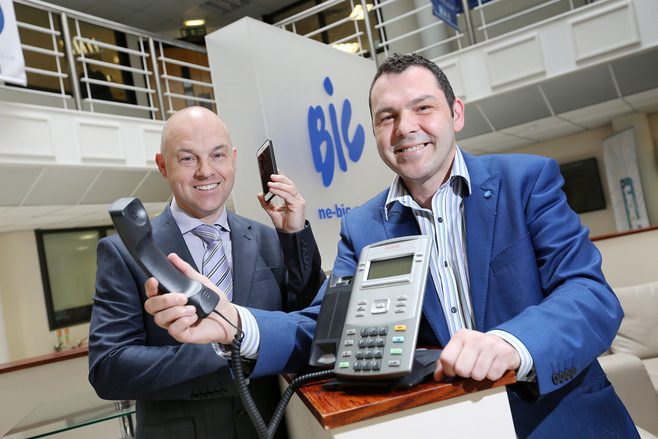 The BIC has teamed up with Virgin Media to deliver the service, which could see businesses saving up to 30% off their existing telephone bills. Customers will also receive a fast, efficient and accurate billing service through a bespoke billing platform. The new service was launched this morning (Monday, May 9) at the BIC’s headquarters in Sunderland where the customer services team for BIC Telecom will be based. The service includes a dedicated call billing platform with no hidden call set up fees or charges. In addition, the BIC also offers a new range of dedicated high speed internet access services to businesses delivering speeds of up to 1Gbit/s. “We are proud to launch this new high quality service, offering low cost calls and secure and resilient high speed internet connectivity for businesses across the North East. “Using the buying power of the BIC, we have negotiated a fantastic deal with one of the UK’s largest communications providers and will deliver a first class customer service experience through our own team of highly trained industry professionals. Keith Rowe has been appointed as an independent IT consultant to oversee the development of the new service, which is part of the BIC’s business solutions range. He brings with him over 30 years’ industry experience working with individuals and companies for information technology solutions. Businesses who sign up to the new service will also be able to benefit from over 20 years’ experience of assisting and supporting local businesses and the range of additional support services that are already provided by the BIC.